Prolific British Actor Peter James O’Toole sadly passed away 14 December 2013. He was Born 2 August 1932 and attended the Royal Academy of Dramatic Art, before he began working in the theatre, where he gained recognition as a Shakespearean actor at the Bristol Old Vic and with the English Stage Company. He made his film debut in 1959 and achieved stardom playing T. E. Lawrence in Lawrence of Arabia (1962) for which he received his first Academy Award nomination. He received seven further Oscar nominations – for Becket (1964), The Lion in Winter (1968), Goodbye, Mr. Chips (1969),The Ruling Class (1972), The Stunt Man (1980), My Favorite Year (1982) and Venus (2006) – and holds the record for the most Academy Award acting nominations without a win. He won four Golden Globes, a BAFTA and an Emmy, and was the recipient of an Honorary Academy Award in 2003. Peter O’Toole began working in the theatre, Where after gaining recognition as a Shakespearean actor at the Bristol Old Vic and with the English Stage Company, he made his television debut in 1954. He first appeared on film in 1959 in a minor role in The Day They Robbed the Bank of England. O’Toole’s major break came when he was chosen to play T. E. Lawrence in David Lean’s Lawrence of Arabia (1962). His performance was ranked number one in Premiere magazine’s list of the 100 Greatest Performances of All Time. The role introduced him to US audiences and earned him the first of his eight nominations for the Academy Award for Best Actor.O’Toole is one of a handful of actors to be Oscar-nominated for playing the same role in two different films; he played King Henry II in both Becket (1964) and The Lion in Winter (1968). O’Toole played Hamlet under Laurence Olivier’s direction in the premiere production of the Royal National Theatre in 1963. He demonstrated his comedic abilities alongside Peter Sellers in the Woody Allen-scripted comedy What’s New Pussycat? (1965). He also appeared inSeán O’Casey’s Juno and the Paycock at Gaiety Theatre, Dublin. He played King Henry II in The Lion in Winter (1968) and fulfilled a lifetime ambition in 1970, when he performed in Samuel Beckett’s Waiting for Godot alongside Donal McCann in Dublin. In 1972, he played both Miguel de Cervantes and his fictional creation Don Quixote in Man of La Mancha, the motion picture adaptation of the 1965 hit Broadway musical, opposite Sophia Loren. The film was a critical and commercial failure, criticised for using mostly non-singing actors. O’Toole’s singing was dubbed by tenor Simon Gilbert, but the other actors sang their own parts. O’Toole and co-star James Coco, who played both Cervantes’s manservant and Sancho Panza, both received Golden Globenominations for their performances. In 1980, O’Toole starred as Tiberius in the Penthouse-funded biographical film Caligula. In 1980, he received critical acclaim for playing the director in the behind-the-scenes film The Stunt Man. He received good reviews as John Tanner in Man and Superman and Henry Higgins in Pygmalion, and won a Laurence Olivier Award for his performance in Jeffrey Bernard is Unwell (1989). He was nominated for another Oscar for My Favorite Year (1982), a romantic comedy set behind-the-scenes at a 1950s TV variety-comedy show, in which O’Toole plays an ageing swashbuckling film star reminiscent of Errol Flynn. He also appeared in 1987’s acclaimed The Last Emperor. In 1999 O’Toole won an Emmy Award for his role in the mini-series Joan of Arc and in 2004, he played King Priam in the summer blockbuster Troy. In 2005, he appeared on television as the older version of legendary 18th century Italian adventurer Giacomo Casanova in the BBC drama serial Casanova. The younger Casanova, seen for most of the action, was played by David Tennant, who had to wear contact lenses to match his brown eyes to O’Toole’s blue. O’Toole was once again nominated for the Best Actor Academy Award for his portrayal of Maurice in the 2006 film Venus, directed by Roger Michell, his eighth such nomination. O’Toole co-starred in the Pixar animated film Ratatouille (2007), an animated film about a rat with dreams of becoming the greatest chef in Paris, as Anton Ego, a food critic. O’Toole appeared in the second season of Showtime’s successful drama series The Tudors (2008), portraying Pope Paul III, who excommunicates King Henry VIII from the church; an act which leads to a showdown between the two men. On 10 July 2012, O’Toole released a statement that he was retiring from acting. Cliff Williams, bass player with heavy metal band AC/DC was Born 14th December 1949. AC/DC Were Formed in 1973 by the brothers Malcolm and Angus Young, who have remained the sole constant members. 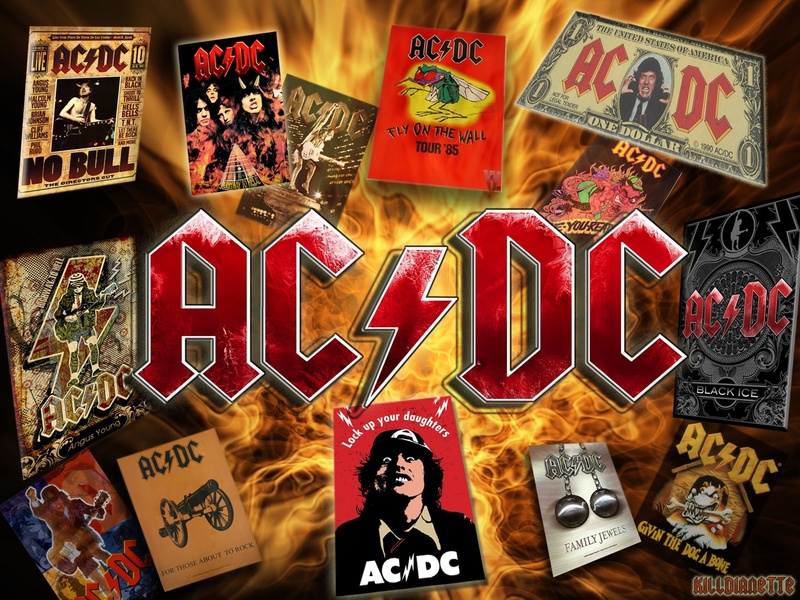 AC/DC are Commonly classified as hard rock, they are considered pioneers of heavy metal and are sometimes classified as such, though they themselves have always classified their music as simply “rock and roll”. To date they are one of the highest grossing bands of all time. AC/DC underwent several line-up changes before releasing their first album, High Voltage, on 17 February 1975. Bass player Cliff Williams replaced Mark Evans in 1977 for the album Powerage. Sadly within months of recording the album Highway to Hell, lead singer and co-songwriter Bon Scott tragically died on 19 February 1980, after a night of heavy alcohol consumption. The group briefly considered disbanding, but Scott’s parents urged them to continue and hire a new vocalist. Ex-Geordie singer Brian Johnson was auditioned and selected to replace Scott. Later that year, the band released their highest selling album, and ultimately the third highest-selling album by any artist, Back in Black. The album Back in Black became the second highest-selling album by any band, behind Pink Floyd’s Dark Side of The Moon and Michael Jackson’s Thriller having sold an estimated 49 million units worldwide, making it the third highest-selling album by any artist. The album has sold 22 million units in the U.S. alone, where it is the fifth-highest-selling album of all-time. AC/DC ranked fourth on VH1′s list of the “100 Greatest Artists of Hard Rock” and were named the seventh “Greatest Heavy Metal Band of All Time” by MTV. In 2004, AC/DC were ranked number 72 in the Rolling Stone list of the “100 Greatest Artists of All Time”and In 2010, AC/DC were also ranked number 23 in the VH1 list of the “100 Greatest Artists of All Time. The late, great musician and bandleader, Lindley Armstrong “Spike” Jones was born on December 14th 1911. Jones’ got his nickname from being so thin that he was compared to a railroad spike. At the age of 11 he got his first set of drums. As a teenager he played in bands that he formed himself. A railroad restaurant chef taught him how to use pots and pans, forks, knives and spoons as musical instruments. He frequently played in theater pit orchestras. In the 1930s he joined the Victor Young orchestra and thereby got many offers to appear on radio shows, including Al Jolson’s Lifebuoy Program, Burns and Allen, and Bing Crosby’s Kraft Music Hall. From 1937 to 1942, he was the percussionist for the John Scott Trotter Orchestra, which played on Bing Crosby’s first recording of White Christmas. The City Slickers evolved out of the Feather Merchants, and made experimental records and performed publicly, gaining a small following. The original members included vocalist-violinist Carl Grayson, banjoist Perry Botkin, trombonist King Jackson and pianist Stan Wrightsman.Throughout the 1940s and early 1950s Spike Jones and his City Slickers enjoyed huge success, with their satirical arrangements of popular songs. Ballads and classical works, which after receiving “the Jones treatment” would be punctuated with gunshots, whistles, cowbells, and outlandish vocals and sounded absolutely hilarious. In 1957, he revamped his own act for television. Gone was the old City Slickers mayhem, replaced by a more straightforward big-band sound, with tongue-in-cheek comic moments. The new band was known as Spike Jones and the Band that Plays for Fun. He also recorded a cover of “Dominique” with Spike Jones’ New Band in 1964, a hit by The Singing Nun, in which he not only plays part of the melody on a banjo but melds the melody successfully with “When the Saints Go Marching In!” The last City Slickers record was the LP Dinner Music For People Who Aren’t Very Hungry. The whole field of comedy records changed from musical satires to spoken-word comedy (Tom Lehrer, Bob Newhart, Mort Sahl, Stan Freberg). 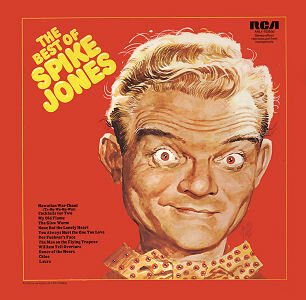 Spike Jones adapted to this, too; most of his later albums are spoken-word comedy, including the horror-genre sendup Spike Jones in Stereo (1959) and Omnibust (1960). Jones remained topical to the last: his final group, Spike Jones’ New Band, recorded four LPs of brassy renditions of pop-folk tunes of the 1960s (including “Washington Square” and “The Ballad of Jed Clampett”). Jones was a lifelong smoker. He was once said to have gotten through the average workday on coffee and cigarettes. Smoking may have contributed to his developing emphysema. His already thin frame deteriorated, to the point where he used an oxygen tank offstage, and onstage he was confined to a seat behind his drum set. He sadly died on May 1, 1965, at the age of 53, and is buried in Holy Cross Cemetery, Culver City, California. Monkey Day is an unofficial holiday celebrated internationally on December 14th. While the holiday is mainly about monkeys, it also celebrates other non-human primates such as apes, tarsiers, and lemurs. The holiday was started in 2000 when artist Casey Sorrow, then an art student at Michigan State University, jokingly scribbled Monkey Day on a friend’s calendar, and then first celebrated the holiday with other MSU art students. It gained notoriety when Sorrow and fellow MSU art student Eric Millikin began including Monkey Day in their artwork and Fetus-X comic strips, and began promoting it online along with other artists. Since then, Monkey Day has been celebrated internationally, across countries like the U.S., Canada, Germany, and the United Kingdom. It is described it as the “one day when monkey business is actually encouraged.” The holiday is primarily celebrated with costume parties intended to help draw attention to issues related to Primates including medical research, animal rights, and evolution. A primate is a mammal of the order Primates (Latin: “prime, first rank”) primates include two distinct lineages, strepsirrhines and haplorhines. Primates arose from ancestors that lived in the trees of tropical forests; many primate characteristics represent adaptations to life in this challenging three-dimensional environment. Most primate species remain at least partly arboreal. Most primates live in tropical or subtropical regions of the Americas, Africa and Asia. They range in typical size from Madame Berthe’s mouse lemur, which weighs only 30 g (1 oz), to the eastern gorilla, weighing over 200 kg (440 lb). Based on fossil evidence, the earliest known true primates, represented by the genus Teilhardina, date to 55.8 mya. An early close primate relative known from abundant remains is the Late Paleocene Plesiadapis, c. 55–58 million years old. Molecular clock studies suggest that the primate branch may be even older, originating near the Cretaceous–Paleogene boundary or around 63–74 mya. The order Primates was traditionally divided into two main groupings: prosimians and anthropoids (simians). Prosimians have characteristics more like those of the earliest primates, and include the lemurs of Madagascar, lorisoids, and tarsiers. Simians include monkeys and apes. More recently, taxonomists have preferred to split primates into the suborder Strepsirrhini, or wet-nosed primates, consisting of non-tarsier prosimians, and the suborder Haplorhini, or dry-nosed primates, consisting of tarsiers and the simians. Simians are divided into two groups: catarrhine (narrow-nosed) monkeys and apes of Africa and Southeast Asia and platyrrhine (“flat-nosed”) or New World monkeys of South and Middle America. Catarrhines consist of Old World monkeys (such as baboons and macaques), gibbons and great apes; New World monkeys include the capuchin, howler and squirrel monkeys. Humans are the only extant catarrhines to have spread successfully outside of Africa, South Asia, and East Asia, although fossil evidence shows many other species were formerly present in Europe. New primate species are still being discovered. More than 25 species were taxonomically described in the decade of the 2000s and eleven have been described since 2010. Primates exhibit a wide range of characteristics. Some primates (including some great apes and baboons) are primarily terrestrial rather than arboreal, but all species possess adaptations for climbing trees. Locomotion techniques used include leaping from tree to tree, walking on two or four limbs, knuckle-walking, and swinging between branches of trees (brachiation). Primates are characterized by large brains relative to other mammals, as well as an increased reliance on stereoscopic vision at the expense of smell, the dominant sensory system in most mammals. These features are more developed in monkeys and apes and noticeably less so in lorises and lemurs. Three-color vision has developed in some primates. Except for apes, they have tails. Most primates also have opposable thumbs. Many species are sexually dimorphic; differences include body mass, canine tooth size, and coloration. Primates have slower rates of development than other similarly sized mammals and reach maturity later, but have longer lifespans. Depending on the species, adults may live in solitude, in mated pairs, or in groups of up to hundreds of members. During Monkey Day there are competitions to see who has the best costumes, who can act like a monkey the longest, or speed knitting of monkey dolls. The holiday cuts across religious boundaries and provides opportunities to share monkey stories and contemplate our simian relatives. Other Monkey Day activities include going on shopping sprees for Paul Frank “Julius the Monkey” fashions, eating Ben & Jerry’s Chunky Monkey ice cream, and spending the day at the zoo.In 2005, Peter Jackson’s King Kong was released on the fifth anniversary of Monkey Day. King Kong and Planet of the Apes films are popular at Monkey Day parties. Monkey-themed songs, such as Major Lance’s “The Monkey Time”, are also part of Monkey Day festivities. Often, celebrations involve raising money for primate-related issues. In 2008, the official Monkey Day celebrations included an art show and silent auction to benefit the Chimps Inc. animal sanctuary; the show and auction included art by human artists as well as paintings from chimps Jackson and Kimie, residents of the sanctuary. The Biddle Gallery in Detroit also celebrated Monkey Day in 2008 with an annual Monkey Day art sale that included a free banana with each purchase.